UK & NZ Poppy stamps. The Western Front map sheetlet. The Sinai-Palestine Campaign map sheetlet. Facsimile of the souvenir booklet for Australia Day from Australia House 1919. A selection of photos of US and Australian troops. Women in War exclusive cover. 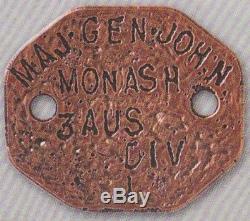 Sir John Monash replica dog tag. Charles Bean collectable diary extract. End of the war telegram facsimile. Be sure to add me to your favourites list. 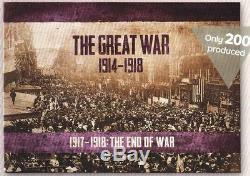 The item "Australia 2018 The Great War (WW1) 1914-1918 End of War Collection Album L/E 200" is in sale since Friday, October 26, 2018. 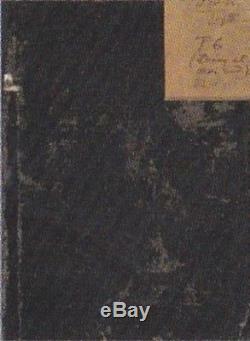 This item is in the category "Stamps\Australia\By Type\Collections, Mixture". The seller is "tasman_coins" and is located in Melbourne, Victoria. This item can be shipped to Australia, all countries in Europe, all countries in continental Asia, United States, Canada, New Zealand.